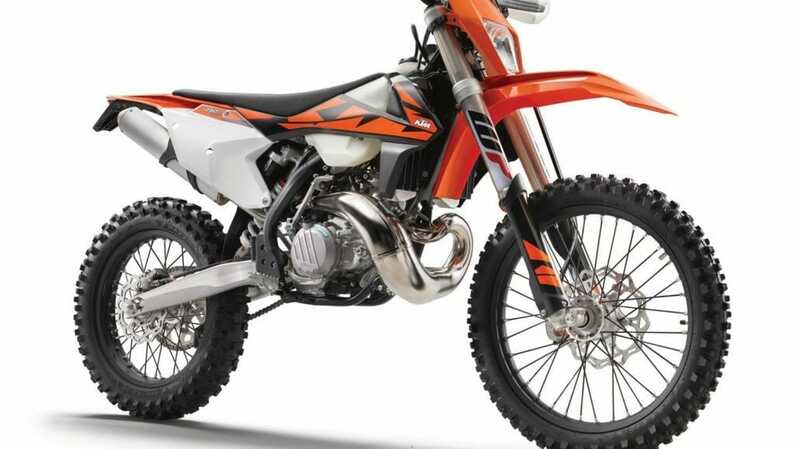 KTM now introduced the first series-produced 2-stroke off-road motorcycles with fuel injection. The 250 EXC and 300 EXC get the additional shortcut TPI, transfer port injection, which stands for the new drive. The electronic fuel injection system works with two injection valves on the transfer channels of the cylinder and is intended to make the engine much more smooth and more economical. This also eliminates the 2-stroke mixture and the carburetor also no longer has to be adjusted to different environmental conditions since no carburettor is available. Several components were necessary, for example, a new throttle body, a new engine management system and a new control unit that calculates the ignition times and the injection quantity on the basis of different sensor data. The 2018 version also gets a new cylinder, new air filter box, new oil pump, new fuel tank, new frame, new graphics and so on. “Our goal was to develop a 2-stroke enduromotorcycle that is not overly complex, feels like a carburetor bike, and nevertheless offers all the advantages of fuel injection,” says KTM. From June 2017, the first models of the 2018 vintage will be available to KTM dealers in Europe.